The successor to the popular Futura, the Futura Pro combines its signature dual cutting stations, with faster cutting, and improved software. The Futura Pro is the electronic key machine for Edge-Cut, Laser Cut Key Creation, Cruciform, and Dimple keys used by Boston Car Keys, Boston Locksmith. 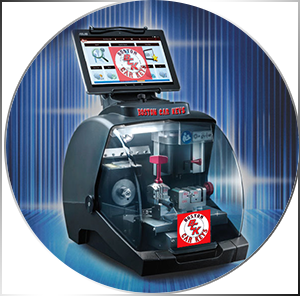 Futura Pro is a powerful machine for the professional key cutters and key copy Boston yet also ideal for the less experienced users with step-by-step prompts throughout the cutting processes.